Origin: Upper Volta, Africa. The face has concentric rings for the eyes, but the plank is worn horizontally. 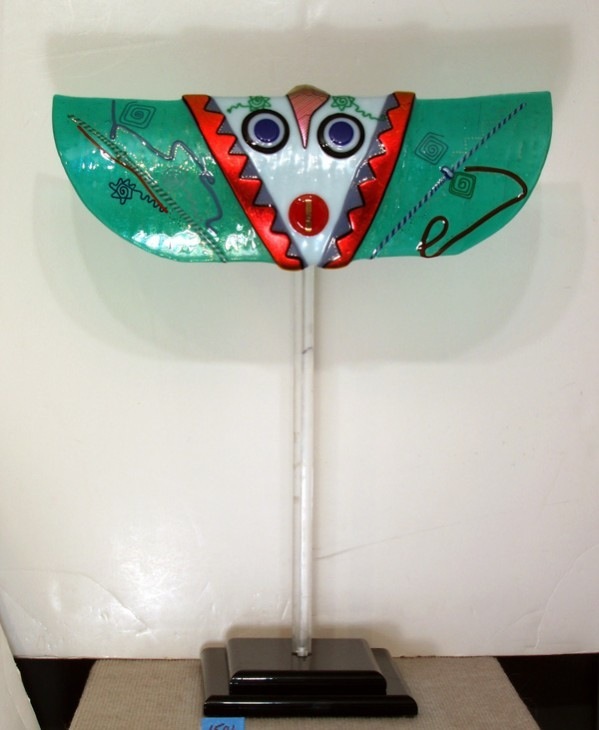 The mask is known as the "bird of the night," The plank representing the wings of the bird. Size 21x9x2 for the wall.